Bartholomew “Bartley” Ford and Bridget Mears were married at St. Muredach’s in Ballina, Co Mayo, 1833. Bridget’s family had a farm in Shanaghy and a cottage in Bunree where they likely were grocery providers at market. Relatives there today are involved in the cattle trade. Bartley’s parents are believed to be James “Jimmy” Ford and Bridget Nealon; Bridget’s were Owen Mears and Ann “Nancy” Naughton. Their hard-working family made the most of opportunities presented and achieved the ideal Irish-American dream. 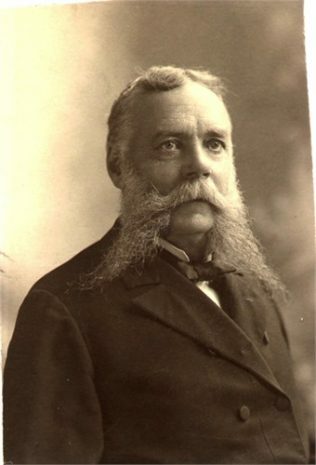 Bartley and Bridget emigrated to the United States via Quebec about 1834, where son James Muredach Ford was born in 1836. They moved on to become pioneer settlers of Chicago, Illinois, USA.Bartley first worked for the I & M canal building project in nearby Lockport, Illinois, where daughter Ellen Theresa Ford was born in 1841. The canal was being built to connect Lake Michigan to the Mississippi River. Bartley was able to earn enough to purchase land for a farm in the middle of what became downtown Chicago. Due to the central location of this land, he later traded it for a good profit plus property on Seminary Avenue in Lakeview (later Evanston). Bartley was employed as one of the first nine constables in Chicago 1848-1852 and was also an election precinct captain. Records show he was paid by the city for the use of his home as a polling place. Son James Ford worked at his mother’s grocery, then opened a furniture and department store in Chicago, which employed many family members. In 1860 he married Bridget Marie Foy, daughter of Patrick Edward Foy and Catherine Manley/ Munnelly, all of whom were born in Co Mayo. Percy Ford Jr. became a race car driver.. The Foys had emigrated in 1849. The Ford sons Frank, Will, Joe, and Trawl all attended Dartmouth College in New Hampshire. Another son, Percy James Ford, Jr. became a race car driver and placed 3rd in the 1921 Indy 500. Daughters Alice, Amy, Florence also attended college. Bartley and Bridget were also parents of John Wilkes Ford, called “Wilkes” who was born 1845 in Chicago, founded a major roofing business, and went on to own a roofing products company with several hundred employees and branches in York, Pennsylvania and Vandalia, Illinois, with a scope of operations from Maine to Florida and west to the Rocky Mts. 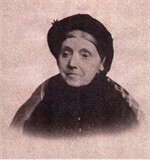 Daughter Ellen Theresa Ford was born 1841 when they were living in Lockport. 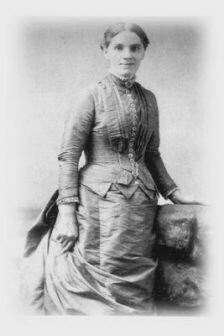 In Chicago, she married William Francis Lewis who was born 1835 in Co Galway, Ireland. Lewis was a blacksmith and manufacturer of wagons; his family were originally from Co Tipperary. One of 8 children born to Ellen and William Lewis in Chicago was Francis James “Frank” Lewis (1867-1960). Frank was educated in the Chicago Public Schools, and went on to become a highly successful entrepreneur and one of the largest contributors to Catholic charities in the US. After working in sales at his uncle John Wilkes Ford’s roofing business Frank Lewis founded a major tar manufacturing business, which was in great demand for both roofing and highway construction. He was director of the Standard Trust and Savings Bank of Chicago, the Mississippi Valley Trust Company of St. Louis, and held large interests in various other lines. In 1936 he was named a director of the Chicago Federal Reserve Bank by the board of governors of the Federal Reserve system. Bartley Ford’s and Bridget Mears’ grandson, Frank Lewis funded Lewis University in Lockport Illinois, a private Roman Catholic university, and made extensive donations to Loyola University. He gave Loyola Medical School the 17-story towers, named for his wife Julia Deal Lewis, and also the former Lewis Memorial Maternity Hospital which he gave to Loyola in 1946. The Frank J. Lewis Foundation and the Lewis Family donated to numerous Catholic Hospitals and Colleges, building Lewis Hall at Notre Dame University in South Bend, Indiana; Lewis Hall at Dominican University (now Rosary College); and an 18-story building he donated to DePaul University for its downtown campus. He built many missions and churches, particularly in Florida, and contributed to hundreds of other philanthropic enterprises. Named a Papal Count in 1954, on the occasion of his 90th birthday he received a cabled blessing from the late Pope Pius XII. Frank J. Lewis died at his retirement home in West Palm Beach, Florida in 1960 and was interred at Calvary Cemetery, Evanston, Illinois. While these remarkable success stories may not be typical, it can be said that the role model provided by grandparents from Co Mayo provided a wonderful work ethic and spirit of generosity. Elizabeth Ford Paullin Terrel is a family historian living in Michigan, USA. So awesome! Frank Lewis was my great grandfather. My dad told me cool stories about his grandfather and his philosophies of philanthropy. It impacted me a lot as a kid. Thanks for writing and researching all this! Thank you for putting this together. It was amazing to find my great great great great grandmother and grandfather on my moms side! Bartley and Bridget Ford are my 3rd Great Grandparents. Thank you for this information. I’m trying to find Frank’s family tree. He was my mother’s uncle or great uncle. She said he was her favorite and a bit.if a wild man. On another note, when my 3 year old son was diagnosed with type 1 diabetes years ago, w were completely unaware of any family history until I learned that Frank.had 2 siblings who died from it shortly before the very first insulin shot was ever given. Very interesting Family history. A proud legacy. Lovely photos.